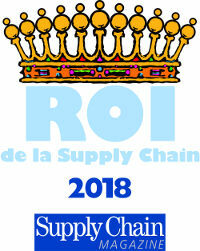 Paris, FR — Fives Intralogistics is among the top 8 finalists in the running for the award of “Kings of Supply Chain” as part of the Forum des Rois de la Supply Chain. Fives’ solution for a predictive approach to the consumption of medicinal inventory, designed in partnership with SSI Schaefer and Idec for OCP Répartition, is one of eight cases to be presented on January 17. At the heart of the design, unique in Europe, is a digital infrastructure that makes possible the continuous exchange of data with partner laboratories to allow greater centralization and synchronization of medicinal goods. This innovative approach lowers environmental impact by optimizing availability rates and decreasing delivery flows. Three winners among the top 8 finalists will be chosen based on audience vote, and awarded in a ceremony on January 17 at the Musée des Arts Forains in Paris.